Published February 27, 2015 at 3576 × 5254 in Monterey Bay Aquarium: Fantastic Tentacles Exhibit! 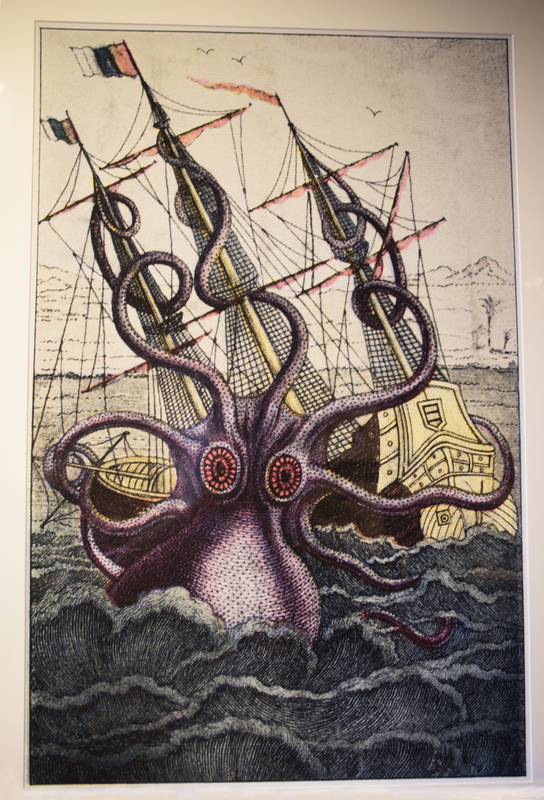 Giant Octopus “Kracken” Color Wash Drawing, Pierre Denys de Montfort, L’Histoire Naturelle Generale et Particuliere des Mollusques, 1803. Based on descriptions by French sailors attacked off Angola in 1801. Tentacles Exhibit, Monterey Bay Aquarium, Monterey, California.